World of KidSmile | Hello Saigon! 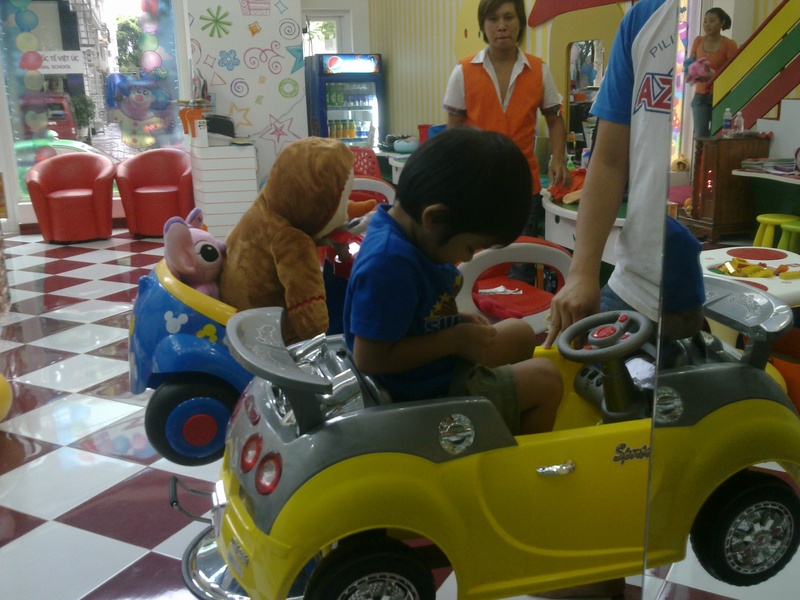 For my son’s first haircut, we decided to have it done in Cuts 4 Tots Hair Salon (Glorietta Mall in Manila). As expected, he hated having his haircut. I ended up wearing a protective gown myself because I had to hold him all throughout. We blew bubbles, watched DVDs, and the staff gave him toys but he would not relent. But at least he was entertained. So fast forward to moving to Saigon, no such kid salon in sight. We had to resort to the usual salons but he would cry all throughout. Hubby and I would go home with hair all over our clothes! To top it off, Sam disliked wearing the gown himself. 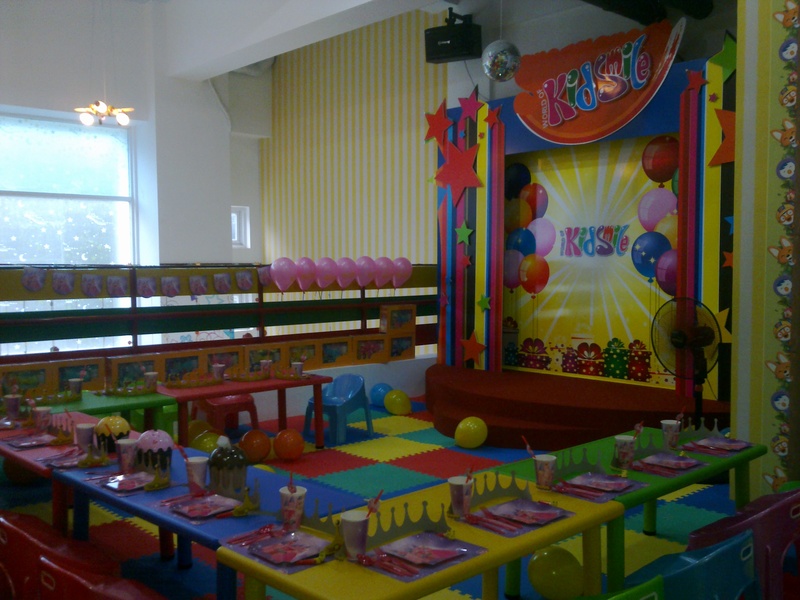 Three weeks ago, lo and behold World of Kidsmile, just around Sky Garden 3, opened up! Yay! 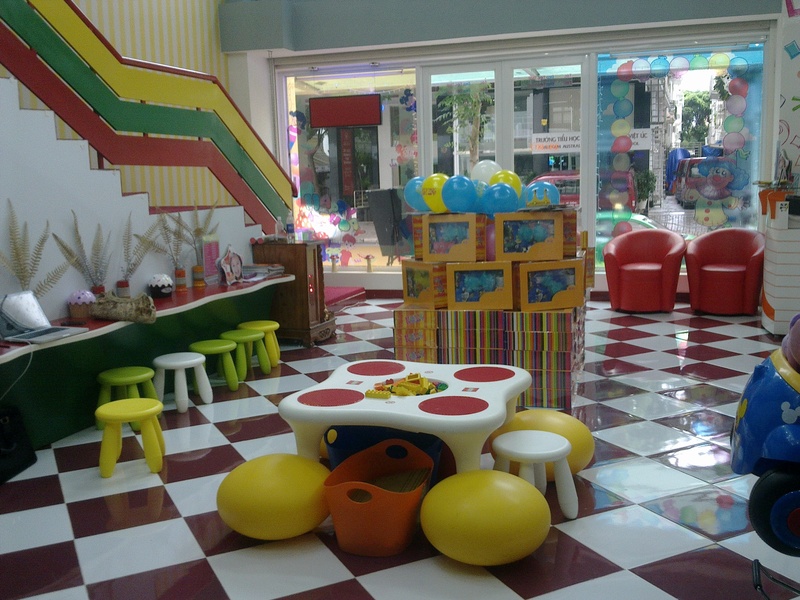 This 2-floor establishment has a kid salon on the 1st floor with play area and the upper floor can be rented for parties and kid activities. Sam loved the shop and hated going home although he still hated having his hair cut! The barber had to follow him all over the store just to get one snip! It was embarrassing actually because his hair trailed all over the place! 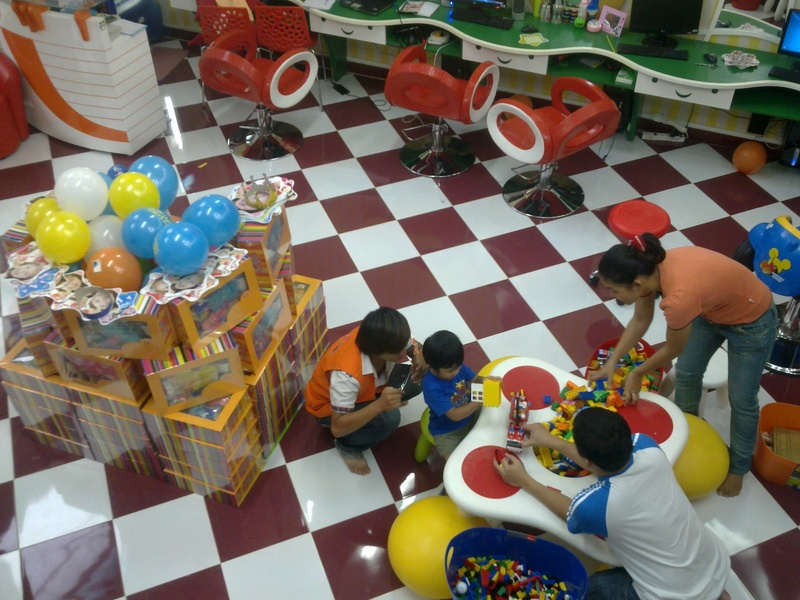 The good people from KidSmile let him watch his favorite show Rio in one of the many workstations they have, let him ride the kiddie cars and let him play blocks while getting his new ‘do. After 100 years, he finally had his haircut done — although not perfectly because he truly hated it and hubby and I got too tired chasing him around the salon! But at least, no crying episodes ensued! 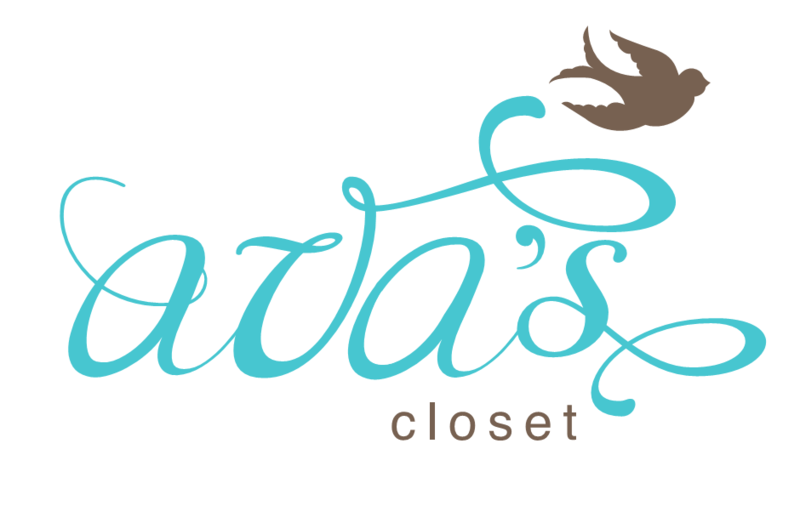 We are one happy client! I went upstairs and saw that it was set-up for a birthday party for a girl. The celebrant came in early to have her make-up and nails done. She was so cute! The stage was a nice touch! 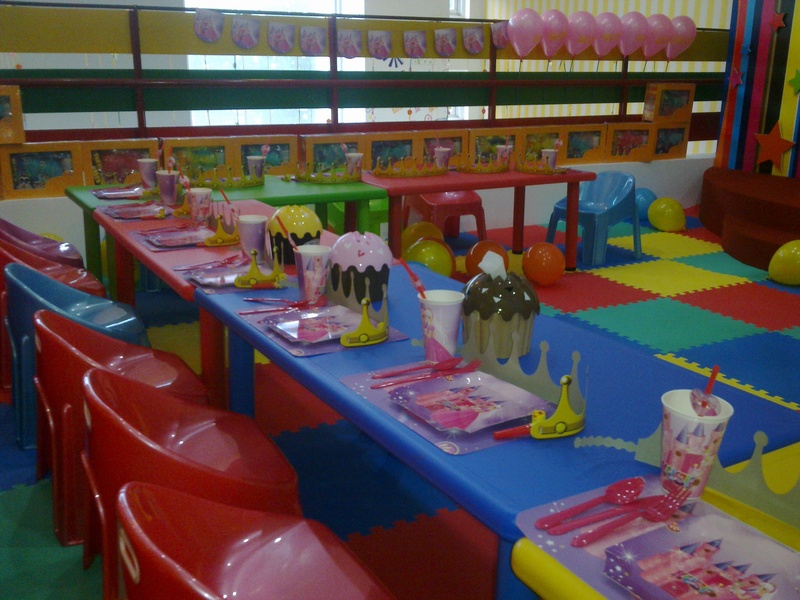 KidSmile also sells these party stuff (cups, plates, hats) so if you want to parteeh at home, you can still achieve the festive ambiance. You can also find KidSmile at the 3rd floor of Lotte Mart in District 7. 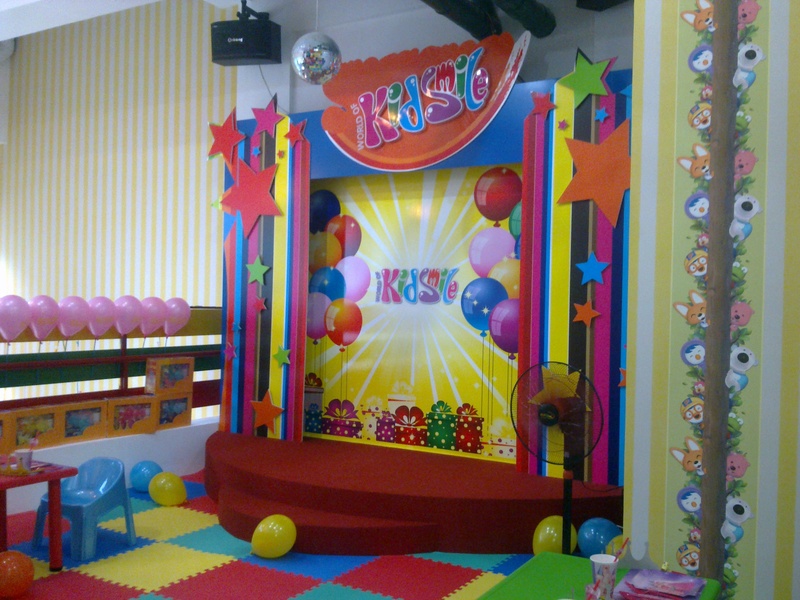 For inquiries check KidSmile website or call them up 08-54131517. 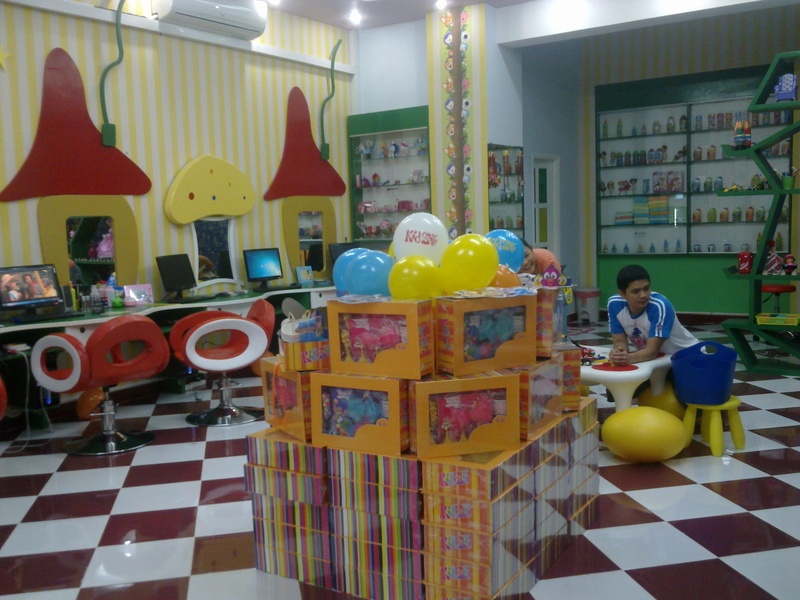 This entry was posted in Exploring Saigon and tagged haircut, kids, World of KidSmile. Bookmark the permalink. Paolo has been telling me about this and I did not want to believe him at first! The place is rocking! Would be nice to have it placed a little further up the Sky Garden complex though, so people can see them quickly.But with your post about them, i think customers will come rushing in! Thanks for the post 🙂 how much do they charge btw? Hi Grace! 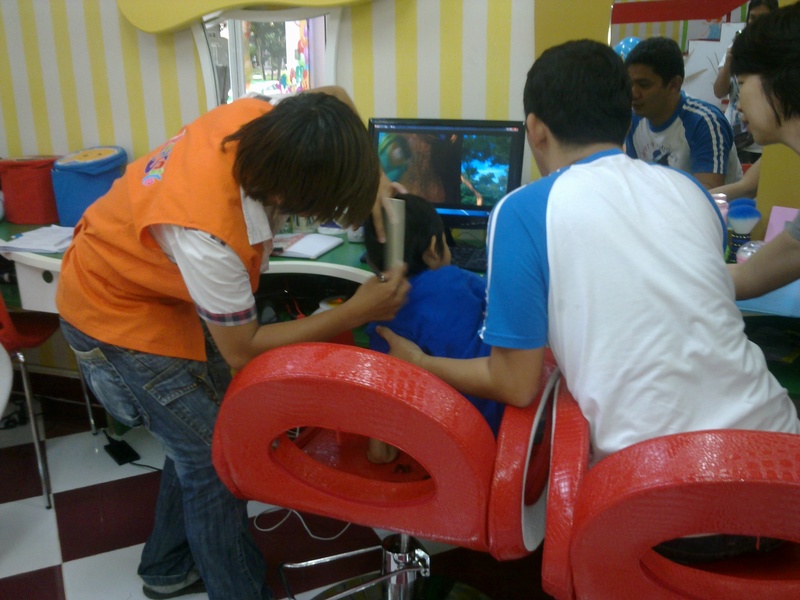 For the haircut, it’s 60k VND for boys and girls. For the party it’s 100 USD for 10 kids but you can bring food! 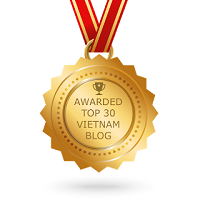 My daughter needs a haircut and naturally, I turn to your blog first for anything Saigon. 🙂 Thanks for posting this!